applications. Available in 1.0 to 60.0 HP. required to cool the chiller condenser coil. 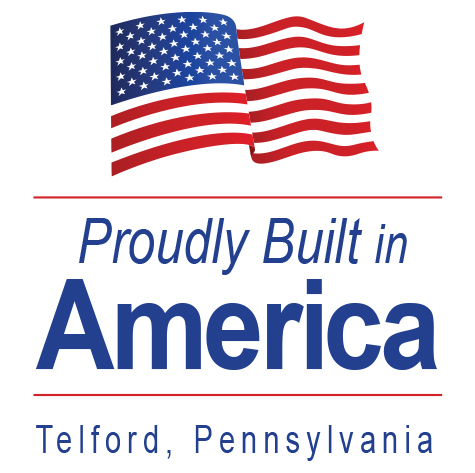 custom OEM design and manufacturing capabilities. 15 to 120 HP. 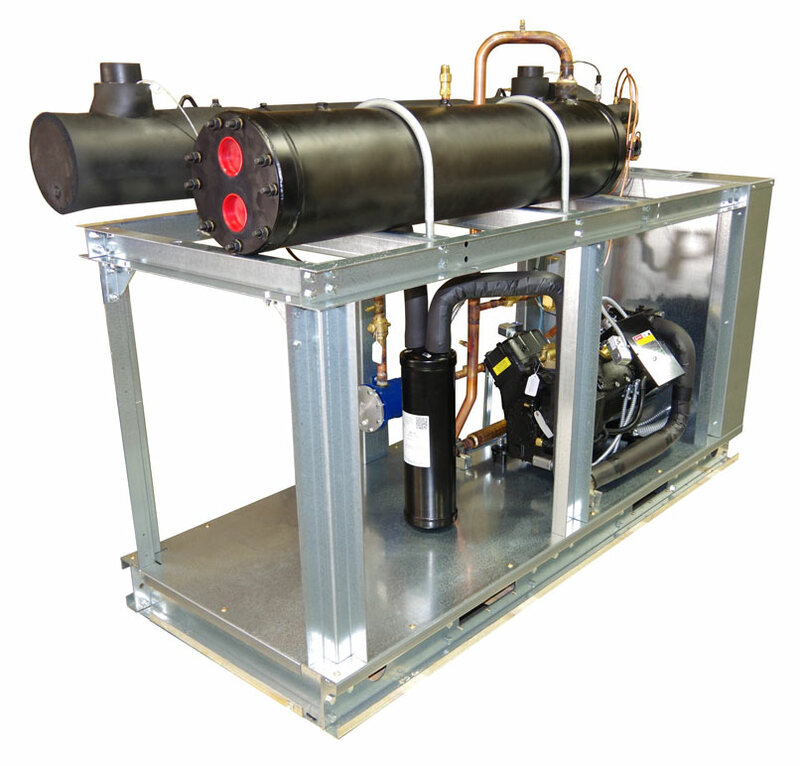 Chiller systems are also available in split condenser configurations. 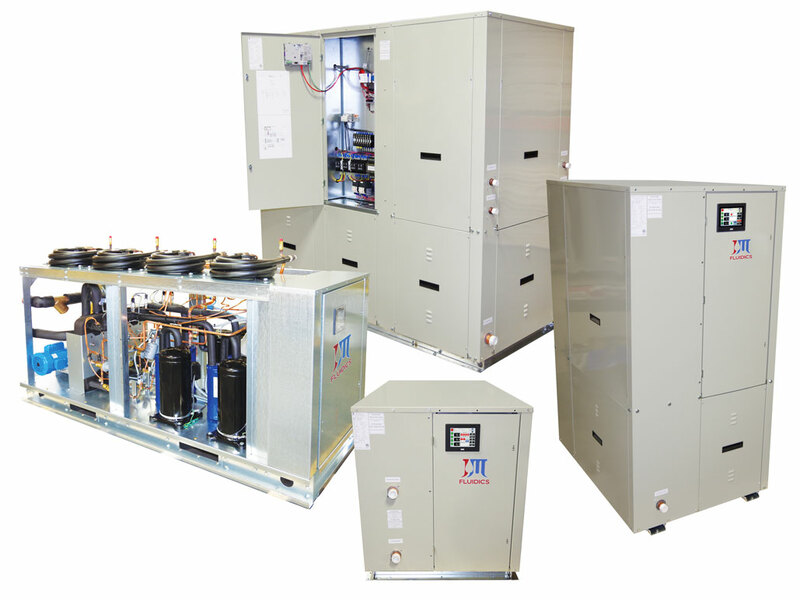 addition for critical cooling applications. a Power Outage or Chiller Fault. 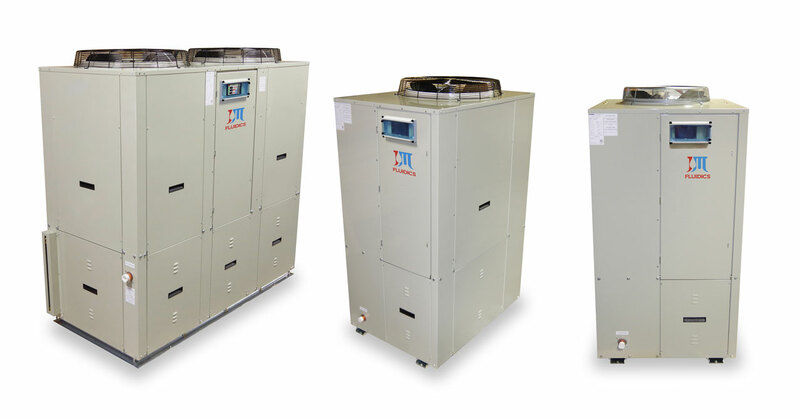 Chiller Product Line is ideal for residential, industrial and refrigeration process cooling applications that require VERY stable temperatures. Available in 1.3 to 120 HP. 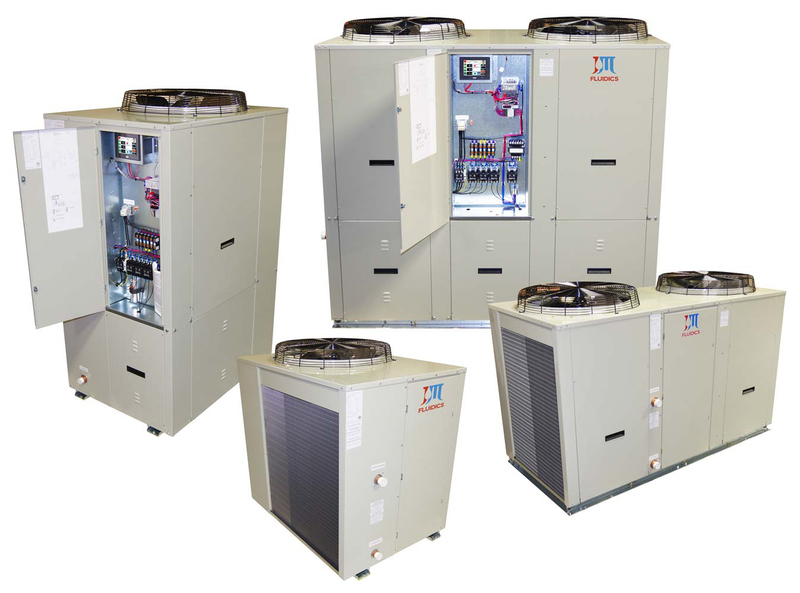 Chillers are also available in split condenser configurations. 8, 10, 12, 13, 16, 20, & 26 HP models . 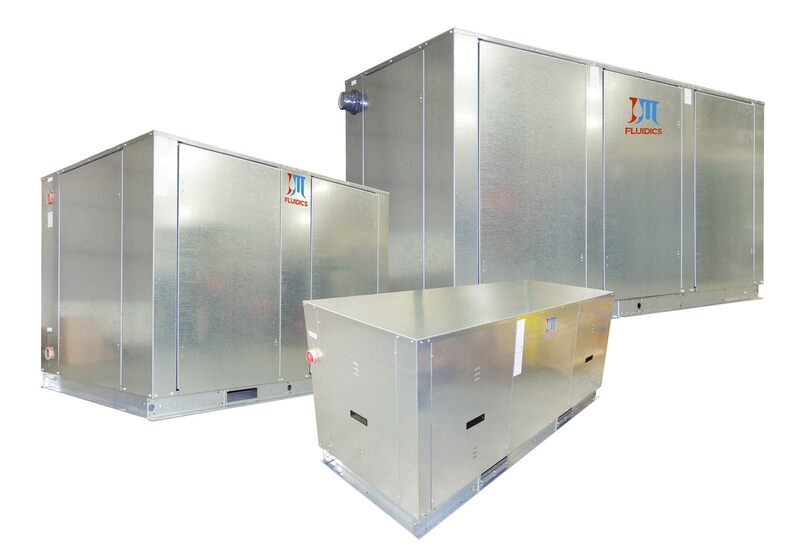 J&M Fluidics' Water-Cooled Semi-Hermetic Process Chiller Product Line is ideal for many industrial cooling and refrigeration applications. Available in 15 to 120 HP. Cooling tower or other water source is required to cool the chiller condenser coil. 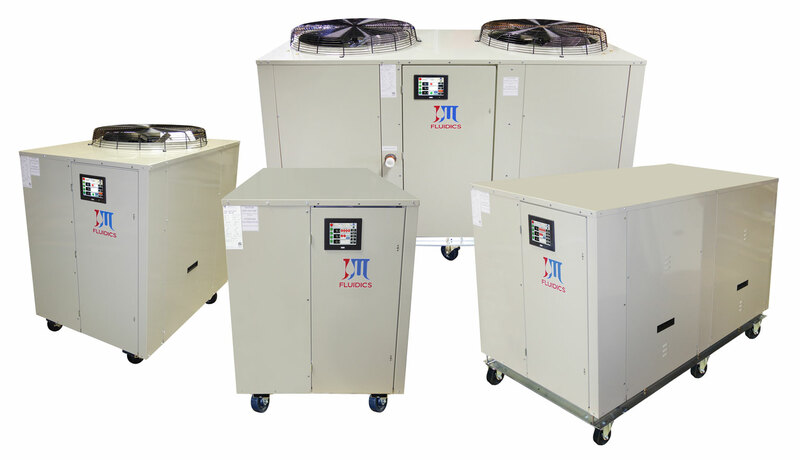 J&M Fluidics' Air-Cooled Digital Scroll Process Chiller Product Line is ideal for residential, industrial and refrigeration process cooling applications that require VERY stable temperatures. Available in 3.0 to 120 HP. 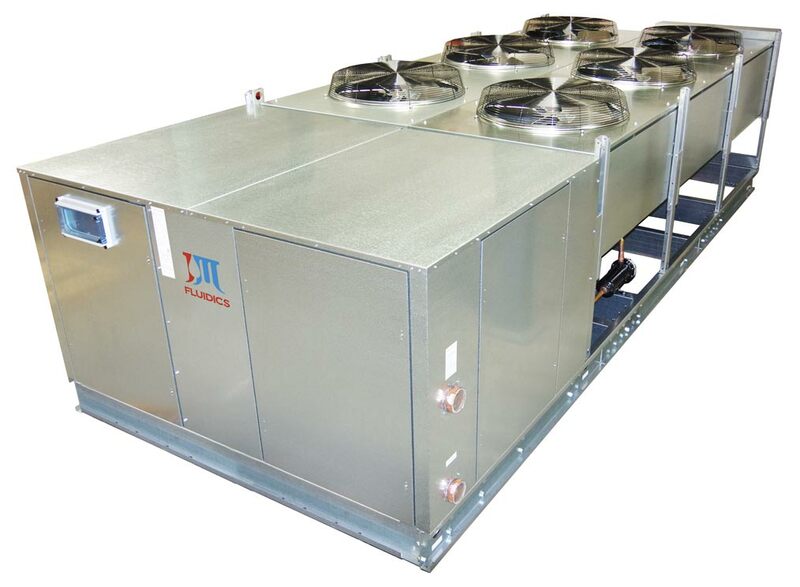 Chillers are also available in split condenser configurations.